"Every organization shall provide givers appropriate and timely charitable gift acknowledgments." 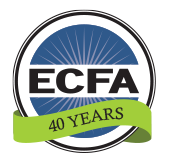 ECFA accredited organizations must issue appropriate gift acknowledgments for charitable gifts and must refrain from issuing gift acknowledgments for transactions that do not represent charitable gifts. A charitable gift is an unconditional transfer of cash or property with no personal benefit to the giver. Charitable contributions are deductible if given “to and for the use of” a qualified tax-exempt organization to be used under its control to accomplish its exempt purposes (“qualified” organizations are churches and other domestic 501[c] organizations). If payments are made to an organization to receive something in exchange (an “exchange transaction”), the transaction is more of a purchase. Tax law states that a transfer to a church or nonprofit is not a contribution when made “with a reasonable expectation of financial return commensurate with the amount of the transfer.” When one transfer comprises both a gift and a purchase, only the gift portion is deductible. Information on federal tax requirements may be found in IRS Publication 526. Timeliness of issuing charitable gift acknowledgments. Organizations must provide a timely acknowledgment of the charitable gift which will meet the tax law requirement for organizations and accommodate the tax law requirements imposed upon givers. Givers must obtain charitable gift acknowledgments no later than the due date of their income tax returns plus any extension, or the date the return is filed, whichever date is earlier. Ideally, such an acknowledgement would be sent much sooner since many givers file their income tax returns in January or February. For gifts of autos, boats, or airplanes, an organization must provide Form 1098-C within 30 days after the date the vehicle is sold or within 30 days of the donation date if the charity keeps the property. Incentives and premiums. If an organization offers premiums or incentives, it shall advise the giver of the fair market value of the premium or incentive and advise that the value is not deductible for tax purposes. Tax law permits givers to deduct only the net value of their gifts to charities. If a charity provides goods or services (for example, books, tapes, records, Christmas cards, gift subscriptions, Bibles, admission tickets, etc.) to a giver as an inducement or in exchange for a contribution, the charity should generally provide a good faith estimate of the value of such goods or services. There is an exception for so-called “token” items given by a charity to a giver. If the goods or services provided by a charity are “insubstantial,” they do not have to be described in the acknowledgment prepared by the charity. the only items offered bear the organization’s name or logo (e.g., calendars, mugs, or posters), and the cost of these items is within the limit adjusted annually by the IRS. All benefits to a giver must be aggregated for the year. Free, unordered low-cost articles are also considered to be insubstantial. If a religious organization provides only “intangible religious benefits” to a contributor, the acknowledgment does not need to describe or value those benefits. The charity can simply state that the organization provided intangible religious benefits to the contributor. Intangible religious benefits are not usually sold in commercial transactions outside a gift context. This standard is in harmony with the US tax rules and does not purport to establish requirements for acknowledgments to givers beyond these rules. Written disclosure. A giver may only take a deduction to the extent that the contribution exceeds the fair market value of the goods or services received in return, so contributors need to know the value of the goods or services. A charity must provide a written disclosure statement to a giver who makes a payment exceeding $75 partly as a contribution and partly for goods and services provided by an organization. A contribution made only in exchange for goods or services is known as a quid pro quo contribution. inform the giver that the deductible amount is the fair market value of property (other than money) above the value of goods or services from the organization. An organization must furnish a disclosure statement with either the solicitation or the receipt of the quid pro quo contribution. The statement must be in writing and must be made in a manner that is likely to come to the attention of the contributor. For example, a disclosure in small print within a larger document might not meet this requirement. when there is no donative element involved in a particular transaction, such as a typical bookstore sale. Determining the fair market value of a premium or incentive. If the premium has a counterpart or is sold in the marketplace, the normal retail price or admission charge is the fair market value. When there is no established market, the organization must use a “reasonable estimate” of the premium’s fair market value as a non-deductible amount. The IRS is concerned with the value of the item in the hands of the donor, without regard to how much or how little it cost the organization to obtain the item. The fair market value of a premium is the price the donor would ordinarily have paid to purchase the item at retail. In some cases, the organization would have paid less for the item, and in some cases, the organization might have paid more. For example, an organization could have an interested supporter who gives $10,000 worth of books to the ministry. If those books are used as premiums in return for a contribution, givers must deduct the fair market value of the books received even though the books cost the ministry nothing. Assume an organization produces and distributes one of its principal speaker’s teaching resources solely as a premium to givers. Other similar teaching resources by the same speaker are sold by the ministry and Christian bookstores for $19.95, and this is also a common price for instructional resources by other well-known Christian speakers. In this case, the fair market value of the resource can reasonably be estimated at $19.95, even though the production cost is only $12.00. In the case of a resource that is not sold at retail, the organization should make a reasonable estimate of the retail value based on the retail price of comparable, but not necessarily identical, items. On the other hand, the fair market value of a premium may actually be less than the cost of the item to the ministry. For example, the organization might have published a book which either was not successful or no longer has an active market. In that case, the cost of producing the book could be considerably higher than the current fair market value. In some situations, production cost may indicate the fair market value, such as an out-of-print book. In such a case, the cost of production can be used as an indicator of fair market value. However, if a giver can substantiate purchasing the premium at a lower price (e.g., through a discount-buying club) when the contribution was made, the contributor may claim a correspondingly greater deduction. Premiums or incentives provided by a “suggested contribution.” In a “suggested contribution” scenario, givers have an opportunity to receive something of value in exchange for a minimum contribution. The term “suggested donation” or “for your gift of” does not change that situation. The fair market value of the premium must still be deducted from the contribution. Only if the organization makes an item available to all requesting it—without any reference to or connection with a minimum or suggested donation—would there be any basis for not treating the premium as goods or services provided in exchange for contributions. There also may be sales tax implications in some states if a transaction is, in substance, a sale of goods or services. Acknowledgment of gifts-in-kind. Property or gifts-in-kind received by an organization should be acknowledged by describing the gift accurately but without a statement of the gift’s market value. It is the responsibility of the giver to determine the fair market value of the property for tax deduction purposes. The organization may be required to provide additional information for gifts of motor vehicles, boats, and airplanes. Gifts for a named recipient’s personal benefit. Tax deductible gifts may not be used to pass money or benefits to any specifically named individual for personal use. Therefore, it is inappropriate for ECFA-accredited organizations to issue gift receipts for such gifts. 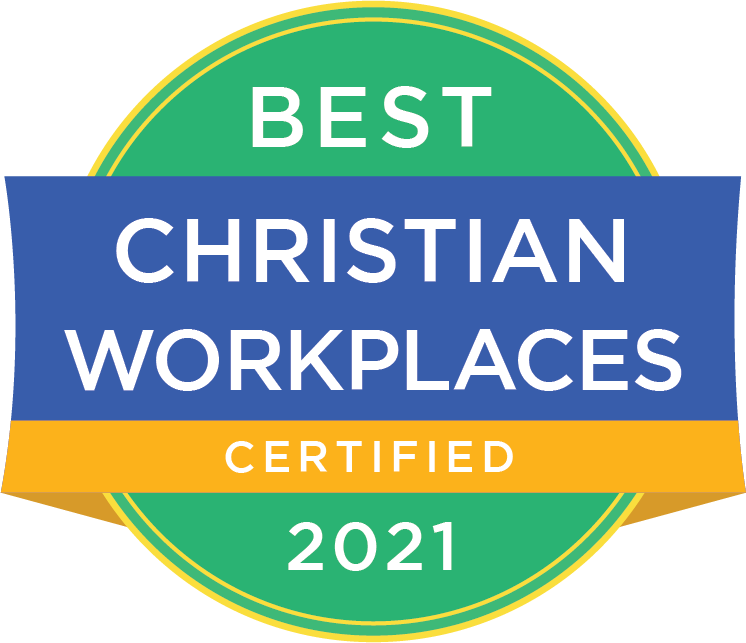 Most leaders of Christ-centered organizations would say that their organizations receive gifts from donors who are led by the Lord and give out of their desire to support the ministry. While this is certainly a primary motivation, many donors are also influenced by the fact that gifts to most charities are deductible on their federal income tax returns—gifts to organizations listed in Section 170(c) of the Internal Revenue Code. In some cases, this deductibility results in substantial tax savings to the donor. Despite considerable ambiguity surrounding the application of tax law to “pass-through” gifts, ECFA-accredited organizations are expected to strive for tax law compliance. While Romans 13 provides sufficient basis to support this standard, compliance with the law helps protect the donor from trouble with the IRS. It also helps to preserve the tax benefit, which many believe is crucial to the continued support of charitable causes. Many Christian leaders believe that organizations have an ethical responsibility to avoid transactions in which they know a donor is attempting to gain a tax benefit that would otherwise be disallowed if the donor sent gifts directly to the intended recipient. Summary. Providing proper gift acknowledgments for cash and noncash contributions is a fundamental way for organizations to comply with the law and demonstrate integrity with givers.